We can't even begin to imagine how difficult this decision is for you, but we appreciate you learning about us and considering us to parent your child. If you choose us to parent your child, you can be assured that he or she will always be loved and well taken care of. We hope our profile helps give you a sense of who we are and what life for your child would be like with us. We Can't Wait to Take Our Child to Disney World! 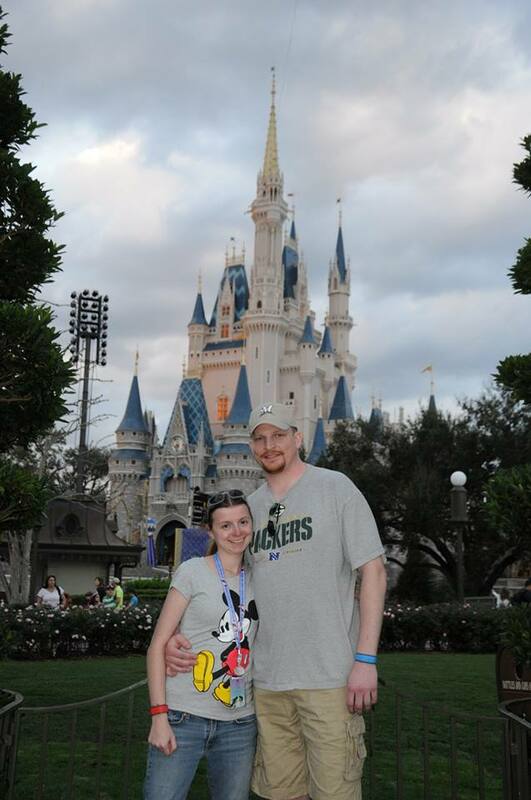 Even though we enjoy many different vacation spots, our favorite vacation spot is Disney World. 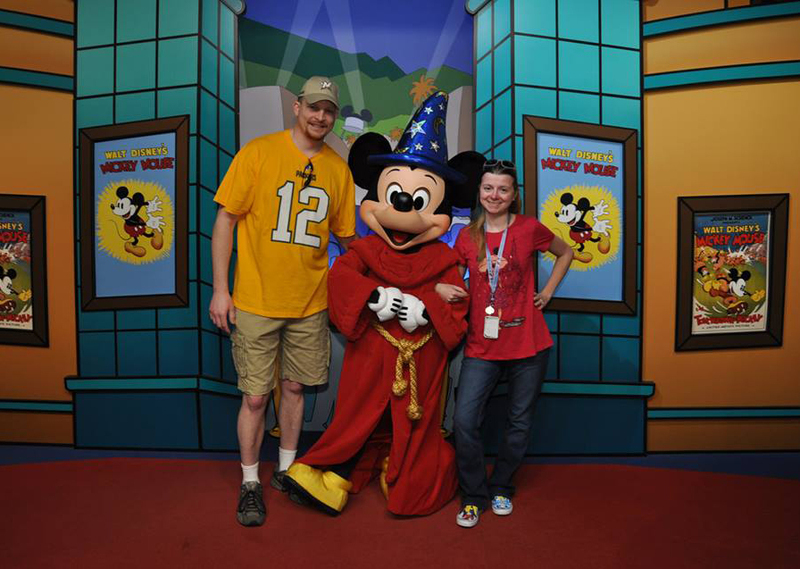 Kristin is extremely knowledgeable about Disney World and loves spending time planning amazing trips to Disney. In fact, it’s because of Kristin’s ability to plan the trips that made James enjoy trips to Disney. James likes to boast to his friends that because of Kristin’s planning, we never wait in long lines at Disney, we eat at the restaurants that are hard to get reservations for, and we enjoy unique activities that everyone may not know about like going to a dessert party where there was a buffet of desserts that we ate as we watched the nighttime firework show at the castle. 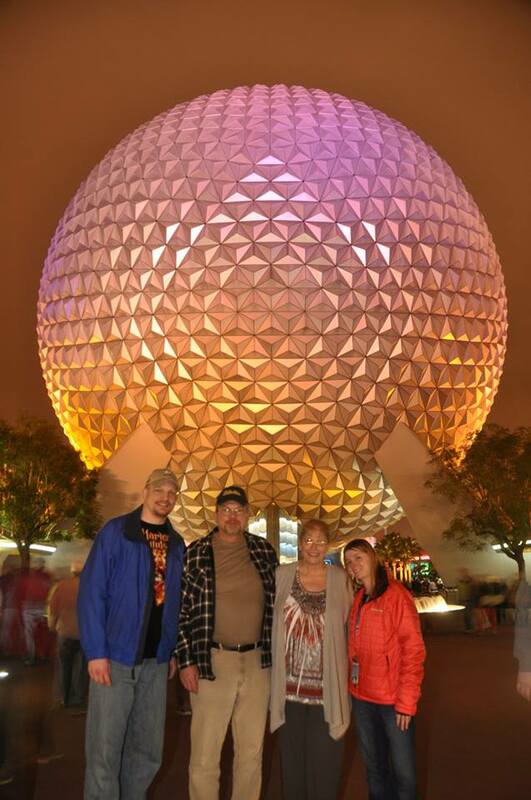 Disney trips to us are special because to us Disney is a bubble away from the real world and daily stresses of life. It’s a place that reminds us of childhood and is a place where you can let your imagination run wild. 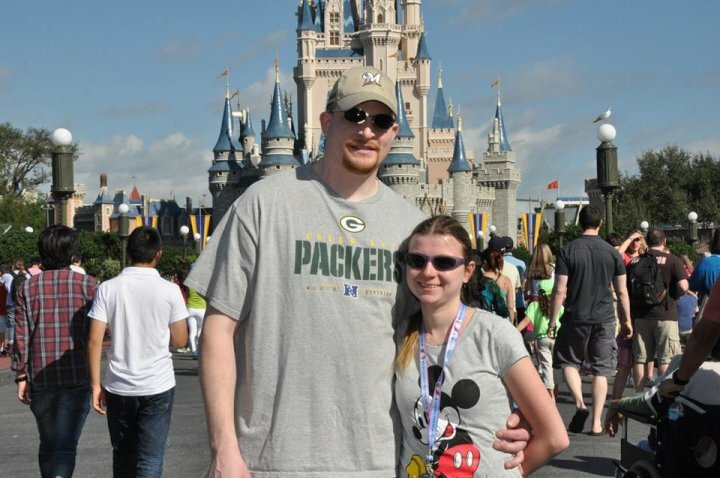 Kristin’s favorite trip was when she got the privilege of taking her niece on her first trip to Disney. Kristin will never forget the excitement and happiness of her niece on that trip and we are both excited to create similar memories in the future with a child of our own. Everyone who has met James knows his favorite thing to do is hunt. James enjoys learning ways to make his hunting successful, and that includes not only learning about new gear or techniques but also learning about the animal he is hunting and the way it acts in nature. James is hopeful that he will be able to share his love for hunting with a child. Besides hunting, James also enjoys bowling, fishing with his dad, and working with his hands to create things. Kristin’s favorite activity is Tae Kwon Do. She has been involved with Tae Kwon Do for almost 5 years and is currently a first degree black belt but is preparing to test soon for her second degree black belt. Kristin also really enjoys helping teach the kids during their classes. 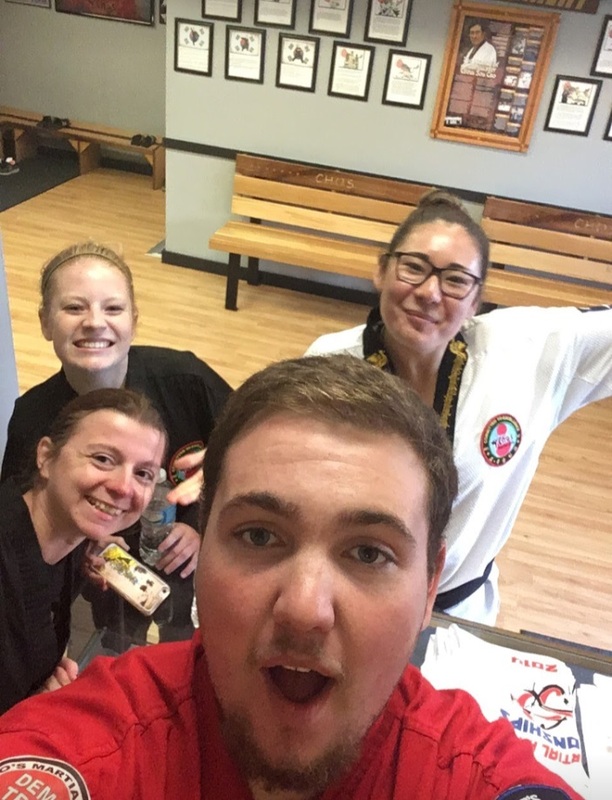 Kristin is looking forward to introducing a child to Tae Kwon Do and believes it will be a great way for the child to make friends, be active, learn self-defense, and learn life skills such as discipline, leadership, and the importance of working hard. While we like to be active, we do also enjoy days where we stay home and relax by renting movies, watching Netflix or even playing a board game. Our completely biased opinion is that we have the most amazing pets in our lives. We have a dog named Daisy and a cat named Oreo who are both important parts of our lives. Daisy and Oreo teach us every day what unconditional love means. It does not matter if we leave the house for 30 seconds or for a week, both Daisy and Oreo always greet us excitedly at the door as if we have been gone forever. When things go wrong in life, Daisy and Oreo both are always there to comfort us and remind us that things get better. Oreo does this by cuddling with us on our laps, in our arms, or even curled up with us at night. For Daisy, she comforts us by giving us kisses, laying with us on the couch, and leaning her body into us for a hug. 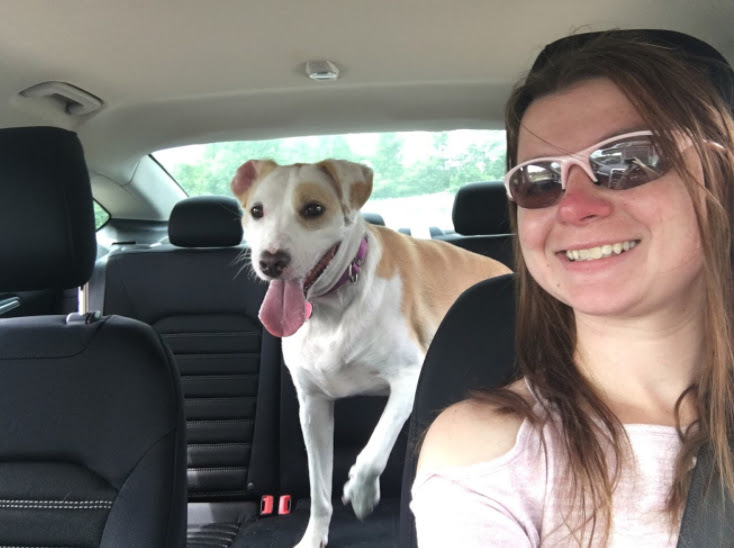 Daisy also keeps us active because we love to be outside playing with her or going for walks. We love watching Daisy light up when we ask her if she wants to go for a walk. We love Oreo and Daisy and we know that they will quickly bond with a child and bring love and comfort to the child just as they do us. We are both very close with our family who all live nearby. Both of our families are thrilled with our decision to adopt and cannot wait till we welcome a child to our family. 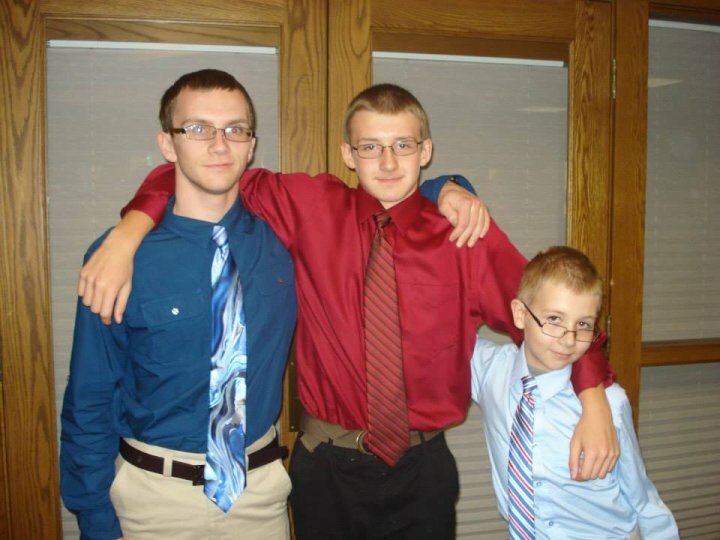 James grew up with his parents, two brothers, and one sister. His family has grown to include four nephews and one niece. 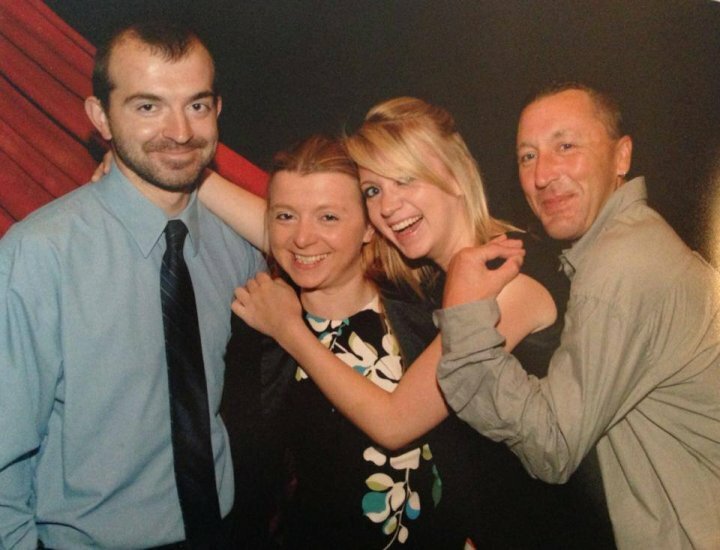 James’ family is extremely close, and it is not unusual for one of James’ family members to be at our house on the weekend where they are either hunting, playing cards, or helping complete a home project. James’ extended family also gets together once a year for a family reunion. James also shares a uniquely close relationship with his dad. James and his dad go on an annual fishing trip to Canada together and they also have a garden in our backyard that they work on together throughout the summer. 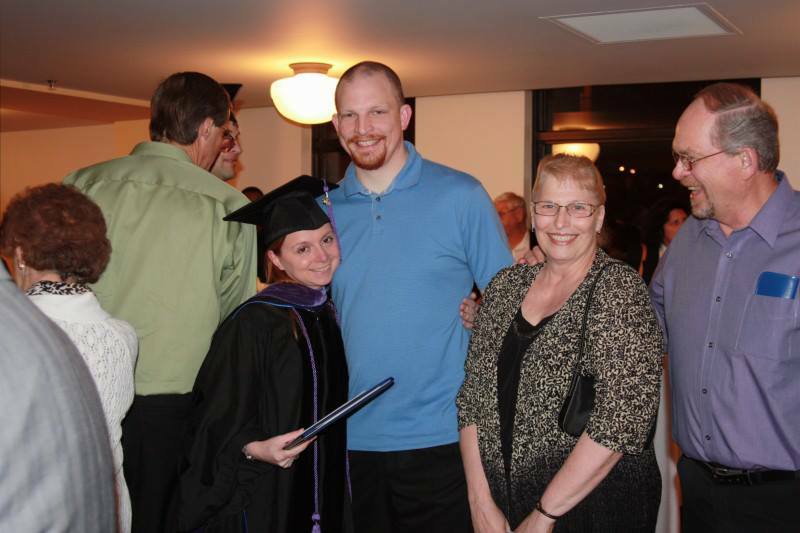 Kristin grew up with her parents, an older brother, a twin brother, and a sister. Kristin’s family has also grown to include two nephews and three nieces. Kristin’s family loves to get together to have dinners together or do activities such as shopping or going to the movies. 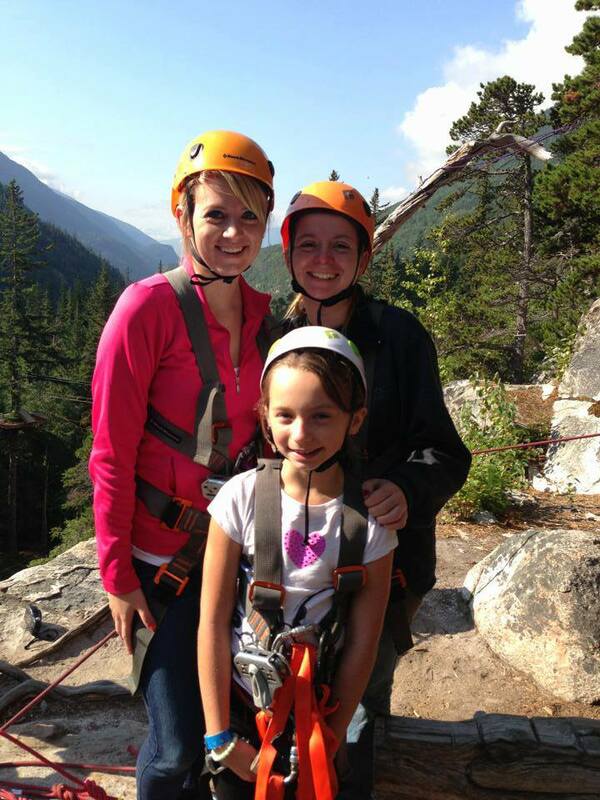 Kristin’s family also enjoys taking family trips where they usually go on a cruise. We can’t wait to include a child on our next family trip! We live in a small, quaint town in Wisconsin. The town has 3 stop lights and a main street consisting mainly of locally owned shops and restaurants. Our town and the neighboring towns hold many annual events and festivals. These events include weekly live music in the park during the summer, farmer’s markets, town festivals, and many parades. Our town has many walking trails and parks including a huge park that has basketball and tennis courts, horseshoe pits, hiking trails, playgrounds, baseball diamonds, and a picnic area. That park also has the local swimming spot. 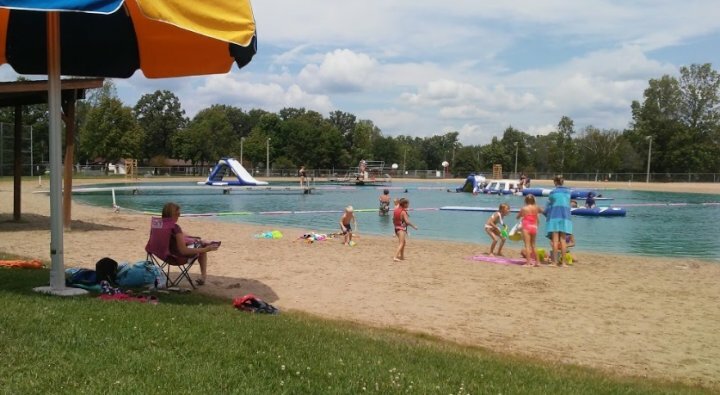 The swimming spot is unique because it is actually a very clean pond surrounded by a sandy beach for children to play and make sandcastles. The pond even has inflatable slides and other items for children to play on. Our house is an open concept, 3-bedroom house that we built in 2017. In our home, the child will have their own bedroom and the second bedroom will be used as a playroom. In addition to the numerous spaces in our home for the child to play and grow up in, there is plenty of room to play and explore outside because our house sits on 27 acres and neighbors a state forest preserve. We can’t even begin to imagine what you must be feeling or going through as you try to decide what is best for your child. However, we hope through this letter that we can help ease some of the fears or anxiety that you may be feeling. 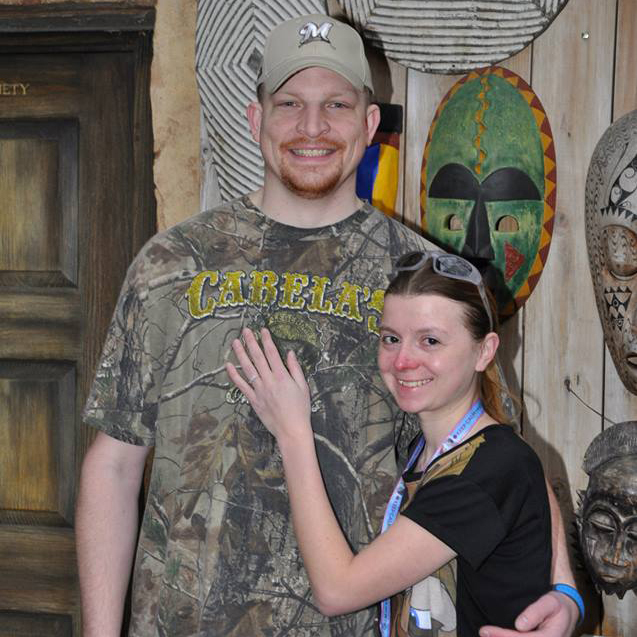 We met and started dating while we both worked at McDonald’s about 10 years ago and have been married for over 3 years. We have a strong relationship that has been built through the years on trust, respect, communication, and humor. We both always knew that we wanted to have children but, after a few years of trying and using fertility medication, we were unable to get pregnant. 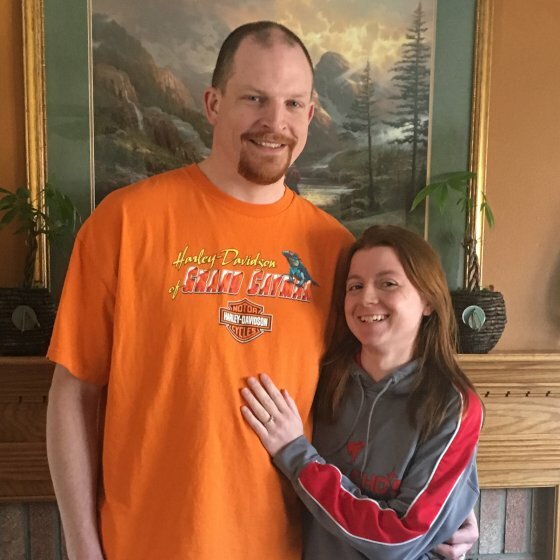 While we had the option to try more fertility treatments, we both realized that we wanted to adopt and are excited about the prospect of adopting a child. We know we are ready to be parents and look forward to loving and nurturing a child and helping the child overcome any obstacles they may face in life. When we realized adoption was a perfect way to grow our family, we also thought about how we would not only be gaining a child but that you too would become part of our family. We would be thrilled to send you letters and photos about how your child is doing. If you wish to have more contact, we are open to having more avenues for communication and to having annual visits. Additionally, if you were willing, we’d also love to hear about how you are doing and be able to share that information with your child. Regardless of how much or how little contact you wish to have, we will always share with your child their adoption story and the love you have for them. While we both work, we want to assure you about our childcare plan. Kristin works the traditional Monday to Friday work week but James has the ability to create his schedule and decide what days he has off. On the days when we both have to work, your child will be in the capable and loving care of their grandparents. We think this not only allows your child to bond with their grandparents and be spoiled by their grandparents, it gives us the peace of mind that your child is being taken care of by someone who loves them as much as we do. While we will have the help of our parents for some childcare, we both have enough flexibility in our works that we will never miss your child’s appointments or activities. Even though we will both be working, your child will always have us present in their life and they will always be the priority of our life. As we continue down the path of adoption, we are constantly thinking and talking about the child and birthparents that we may be matched with and our excitement to adopt. We are looking forward to being parents and doing activities as a family, traveling as a family (especially to Disney World), and growing as a family. We look forward to sharing our interests and traditions, along with your interests and traditions, with your child. Because of the journey we have been on to become parents, we know we will cherish every day with your child as we watch and help guide them on their path in life. We are committed to providing your child the best life we can by raising them in a safe, happy, supportive, and loving home surrounded by friends and family. Thank you for learning about us and we wish you strength and peace as you decide what is best for your child. My big gray bear that wore a cloth bib and a diaper and was named "Biggsy"